And by basics, I mean the innerwear! Stockings and body-warmers may sound old –school but will save you weeks of sniffling and make sure you’re ready to party on a cold wintry night! 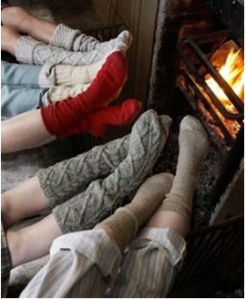 They say that warm feet make a huge difference in maintaining a warm body temperature! 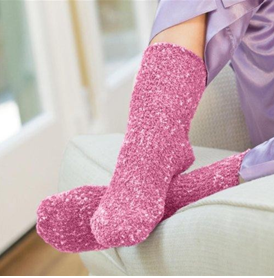 And if that doesn’t convince you, just go for the adorability of these super-cute fuzzy socks! Firstly, invest in a SNOOD. 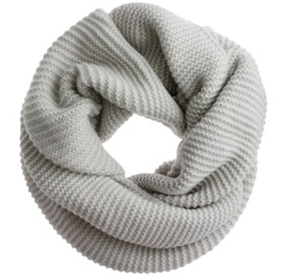 A snood, or tube scarf is a loop shaped scarf that you can slip over your neck! 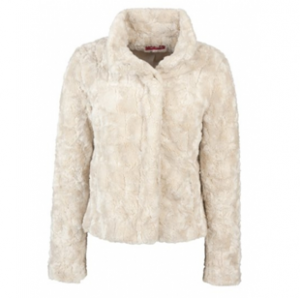 Buy a cozy woolen or cashmere one to keep you extra warm and snug (and make a style statement)! If nothing else, here’s a trick that’s bound to work! Curling up with your best friends on a cold evening with some warm blankets and yummy treats! It doesn’t get snugger than that. So go on and get cozy! 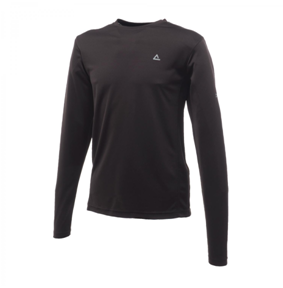 Facing the brutal cold winter can be like going into a battlefield – you don’t want to enter without your armour! So #GoShopping and get your winter weapons – check out our apparel and accessories stores like Zara, Promod, Mango, ALDO Accessories and others! Have a happy and comfy winter!